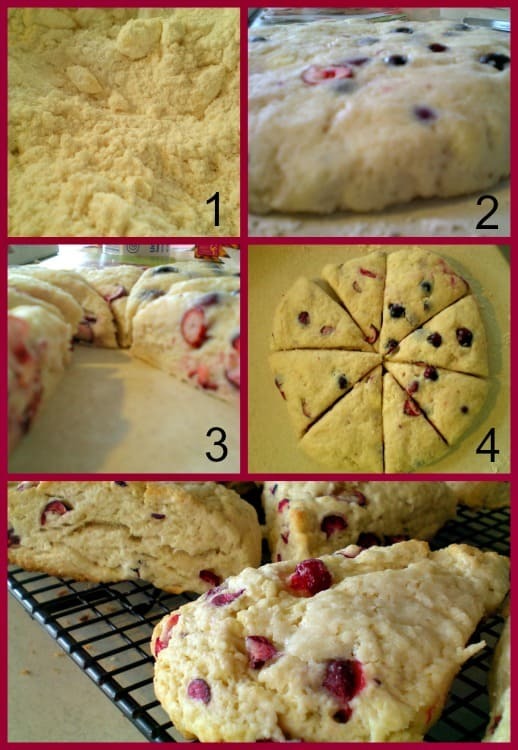 Cranberry Scones have to be one of my all-time favorite treats to bake. They are tart yet sweet all at the same time. These scones are not dry or crumbly, but soft and almost like a biscuit. Once you try this recipe, you will make them forever more. This post contains affiliate links. If you purchase anything through these links, a small commission is earned and goes to help support this website. Thank you! I can’t wait to get baking started in my kitchen! It is during this time that I grab my favorite apron and am most relaxed as I work with different types of dough or batter. One recipe that I enjoy to make any time of year are scones. 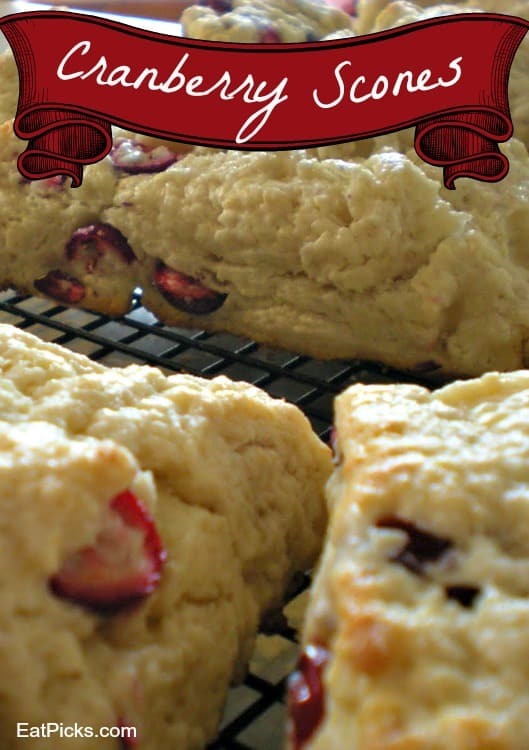 I am partial to cranberry scones, however, I have played with a few flavors like blueberry scones and Sweet Cream Scones and I’m sure more flavors will make their way into my mixing bowl , but for now, we’ll focus on the tried and true flavor of cranberry. I like to make these for an easy breakfast on weekends or for a late afternoon snack with tea. Since fresh cranberries are plentiful this time of year, I try to take advantage of making these often. They are delicious! A very moist scone, not at all dry. I have also made this recipe substituting raisins and cinnamon and they were great too. Add this easy recipe to your holiday table! 2/3 C half-and-half plus 1 tbsp. In a bowl, wisk together flour, baking powder, sugar, and salt. Cut in butter with pastry blender or two knives until mixture resembles coarse crumbs. Stir in 2/3 cup half-and-half until just moistened. Gently fold in cranberries. On a lightly floured surface, knead dough gently 5 to 10 times. Pat into a 1-inch-thick round. Cut into 8 wedges; place on a (ungreased) baking sheet, 2 " apart. Brush tops with 1 Tbsp half-and-half, sprinkle each with sugar. Do you like to make scones? If you try this recipe I’d love to hear how yours turn out. 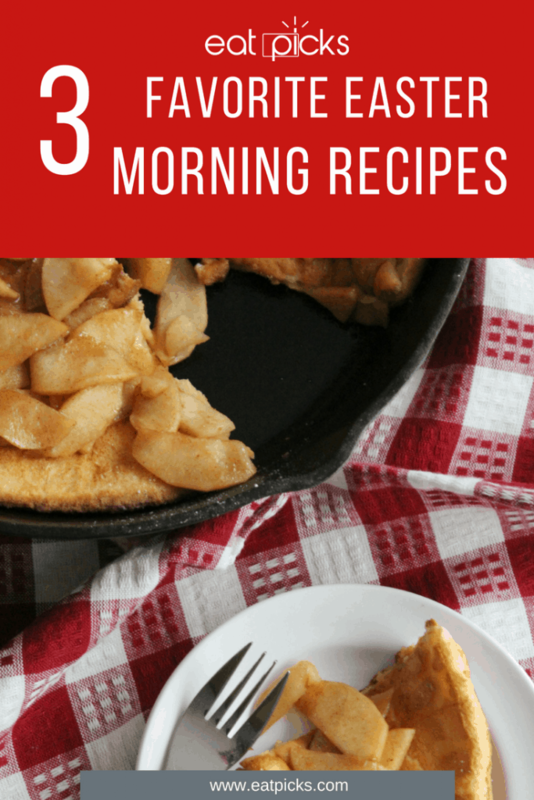 I have a bunch of other great breakfast recipes you can try especially these Top 3 Favorite Easter Morning Recipes!